Farm GPS guidance and autosteering equipment company AgJunction is set to sell its Outback Guidance business to a satellite positioning tech firm it spun off five years earlier. Kansas-based AgJunction announced Monday it has sold the Outback assets to Hemisphere GNSS, a Scottsdale, Ariz. company owned by Chinese firm Beijing UniStrong, for an undisclosed sum. 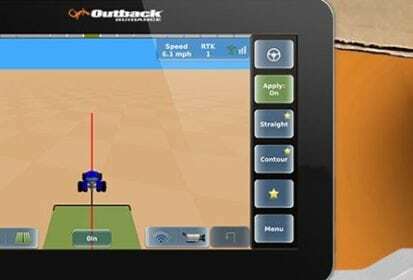 Outback — one of the positioning tech businesses which consolidated into what later became AgJunction — offers aftermarket guidance and autosteering systems for about two dozen ag equipment brands. The sale would reunite Outback with Hemisphere GNSS, a sister company which AgJunction — known up until then as Hemisphere GPS — sold to Beijing Unistrong’s Canadian subsidiary for US$15 million in 2013. The deal will give HGNSS the Outback Guidance brand; Outback’s Rebel autosteering product line; and AgJunction’s product development, sales, distribution and support facilities at Winnipeg and at Hiawatha, Kan., about 120 km northwest of Kansas City. HGNSS will also get a “non-exclusive” license to certain AgJunction patents associated with the Outback business and “the majority” of the Outback workforce. The two companies have also agreed on another royalty-bearing, non-exclusive license deal for AgJunction intellectual property to be used in other HGNSS ag-related products. AgJunction, meanwhile, will keep its other intellectual property and the staff working mainly at its engineering centres in Scottsdale and in Brisbane, Australia. HGNSS, whose product lines are sold into the OEM, marine, machine control and guidance and L-band correction service markets, has been making a concerted push into the ag sector. HGNSS said it has seen “successful revenues and wide-reaching positive feedback in recent years” in OEM-focused ag products and “seeks to further integrate its high-precision GNSS positioning technology” with the Outback dealer network’s systems and services. Outback Guidance’s customer support, sales and website will “remain as they currently operate” and its dealer network will not see any interruption during this transition period,” HGNSS said. For AgJunction, the deal “will enhance our focus on our mission to expand autosteering to all farmers by simplifying our solutions and channels to market,” CEO Dave Vaughn said in a separate release. Once the deal closes — expected sometime in AgJunction’s third fiscal quarter, pending the usual regulatory approvals — “our go-to-market distribution channels will be focused on our indirect channel partners — value-added resellers, original equipment manufacturers, and strategic intellectual property licensed partners — and our direct-to-farmer channel via Handsfreefarm.com,” he said. AgJunction vice-president Bob Barjesteh, added that commercializing AgJunction’s intellectual property is “a vital component of our corporate strategy” and noted the new licensing deal with HGNSS follows a similar deal last month, with South Dakota-based precision ag tech firm Raven Industries.